The statistics of road casualties in Britain in the year ending 2018 from the Department for Transport is no easy reading. In the year ending June 2018, there were 26,610 people killed or seriously injured reported to the police. From 19 to 25 November 2018 is Road Safety Week, an initiative developed by Brake, a road safety charity established in 1995. This year the focus is on the safety of two wheeled road users such as cyclists including children, motorbikes and mopeds, who are vulnerable on our roads. There were 3,780 cyclists and 5,760 motorbikes killed or seriously injured cyclists in 2018. 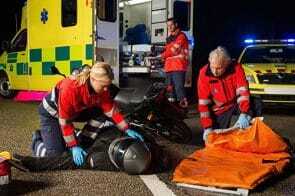 Road traffic accidents causing injuries and deaths are devastating for the victims and their families. As more and more people are opting to cycle, there is a greater need for awareness of the vulnerabilities they face from other road users. Under Sections 1 and 1A of the Road Traffic Act 1988, it is an offence to cause death and serious injury by dangerous driving. The meaning of dangerous driving is defined in section 2A of the Act as a person whose driving is far below what would be expected of a competent and careful driver and, it would be obvious to a competent and careful driver that driving in that manner would be dangerous. This can include racing, driving aggressively, overtaking dangerously and driving whilst under the influence of drink or drugs, including prescription drugs. Under Sections 2B and 3 of the Road Traffic Act 1988, it is an offence to cause death by careless or inconsiderate driving. The meaning of careless, or inconsiderate, driving is defined in section 3ZA of the act as driving without due care and attention which would normally be expected of a competent and careful driver. This can include failing to look properly, turning into the path of another driver and being distracted by your mobile phone. The Road Traffic Act 1988 deals with other specific offences such as driving whilst being under the influence of drink or drugs and motor racing on public roads. The Highway Code contains information and mandatory rules for all road users in the UK. The Highway Code was first published in 1931 and is regularly updated. The Code acknowledges children, the elderly, cyclists, motorcyclists and horse riders as the most vulnerable road users. The purpose of the Code is to promote road safety for all road users. The Highway Code contains rules which are legal requirements such as making sure that you are fit to drive and wearing of seatbelts. A road user can be found to be committing a criminal offence if they are in breach of these rules. These rules are found in the Code by use of the words ‘MUST/MUST NOT’. There are however other rules in the code which are not legal requirements such as ensuring you have planned your route and allowed sufficient time and giving clear signals in plenty of time. Failure to comply with these rules will not cause a person to be prosecuted. These rules are found in the Code by use of the words ‘should/should not’ or do/do not’. The Highway Code is regularly used as evidence in Court to prove the issue of liability, even if there has not been a breach of a legal requirement. All road users have a responsibility to each other to ensure they drive safely and prevent accidents on our roads. Do not exceed the maximum speed limit for the road and your vehicle. In residential areas reduce your speed to ensure you can stop in good time, particularly if you are sharing the road with children and other vulnerable road users. When overtaking a cyclist or a motorcyclist keep a distance of another car i.e. 150 cm. Check the blind spot before moving off from a stationary or parked position. Turn your head and check before opening car doors to prevent a collision with a passing cyclist or motorcyclist. At night take extra care and reduce speed as it is not always easy to see other road users. Don’t assume, signal your intention clearly and then manoeuvre. Be visible especially in the dark by wear reflective clothing and accessories such as arm and ankle bands. Always make sure your cycle is fitted with white front light and red back light so you can be seen. Don’t overtake a large vehicle from the inside lane as the driver may not be able to see you. Give a car sufficient space when making turns. Supervise children at all times when they are cycling on the road. Ride behind children on the road. Where there is a group of adults, ensure one adult is at the back and one is in front of the children. Be wary of riding in strong winds. If you have been injured in a road traffic accident which was caused by someone else’s negligence and would like to speak our specialist personal injury solicitors please call us on 0800 437 0322 or request a call back online.